Posted by V the K at 8:39 pm - December 22, 2014. Not a big “Let’s go to the movies” guy, personally. I think I saw… two?… movies in theaters this year? Sounds right, or close anyway. Anyway, the brilliant minds of Rifftrax asked their fans to vote on the 10 worst movies of 2014. I have seen… um, one of them. If you’d like the experience of seeing this movie but prefer not to give any portion of your income to Michael Bay, just have a screaming lunatic beat you into unconsciousness with small engine parts. Posted by Jeff (ILoveCapitalism) at 3:22 pm - June 4, 2014. Nicholson, however, also laid blame with…the civil rights hero’s “boring” rhetoric. “I know it sounds outrageous to say a thing like that, but when he came out of prison he made a speech and, God, you fell asleep,” he said. Nicholson doesn’t think all that highly of Mandela. He made the movie to get an Oscar. His intended tactic was to manipulate people, specifically their sense of guilt. The world cheated him of his Oscar, since another movie got to people’s guilt, first. Posted by V the K at 2:40 pm - January 17, 2014. 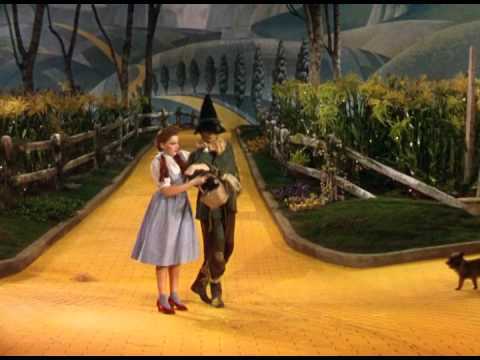 Rifftrax goofs on The Wizard of Oz. I understand this is a movie of some signficance to Teh Gheys. Posted by V the K at 9:23 am - January 16, 2014. I guess the original novel’s themes of an all-intrusive state that placed its citizenry under constant surveillance and subjected them to endless propaganda, phony economic statistics, and exhortations to hate those whom they identify as the enemies of the state… just aren’t relevant to anything that’s going on right now. Also, the Oscar noms were announced, and I couldn’t care less. Posted by V the K at 11:28 pm - January 15, 2014. Harvey Weinstein, an extremely wealthy Hollywood hypocrite, is planning a propaganda film with Meryl Streep in it with a goal of destroying the NRA and stigmatizing gun ownership. Hollywood has a bit of history with making “message” movies to sell a progressive left agenda item to the public via cheap, exploitative melodrama: Reefer Madness (1936), The Day After (1983), The Day After Tomorrow (2004), An Inconvenient Truth (2006), and so on. These movies used to have a lot of impact. The China Syndrome (1978) virtually shut down the American nuclear power industry. Since then, people have wised up, somewhat, at least. Audiences largely ignored the slew of antiwar and anti-Bush movies of the last decade. The danger, though, is that the anti-Second Amendment forces are well-funded and relentless; and they will not stop until they achieve their goal: the legal prohibition of privately owned firearms. And no amount of fact or reason will dissuade them from pursuing this goal. Will we ever see flawed gay characters on American television[*]? Posted by B. Daniel Blatt at 12:52 pm - June 6, 2013. “After watching the pilot, where the parents come across so saintly,” Geraghty suspects . . .
. . . that the writers will be terrified about portraying them with any flaws, either because they’ll be afraid they’re portraying gay parents negatively, or because they fear their audience will be even momentarily repelled by characters that the entire show’s purpose is to get you to love and accept. In other words, if Hollywood is afraid to portray a gay character as human, with strengths and failings, moments of character and moments of weakness, and so on . . . are they really being all that groundbreaking or brave or honest in their creation? The reign of The Gay Man as Magical Elf, who whenever he comes out appears before us as some kind of saintly E.T. whose sole purpose is to be put in the position of reminding us only about Tolerance and Our Own Prejudices and To Feel Good About Ourselves and to be a symbol instead of just being a gay dude, is—lamentably—still in media play. Where’s the gay dude who makes crude jokes about other gays in the media (as straight dudes do of each other constantly) or express their hopelessness in seeing Modern Family being rewarded for its depiction of gays, a show where a heterosexual plays the most simpering ka-ween on TV and Wins. Emmys. For. It? . . . . But being “real” and “human” (i.e. flawed) is not necessarily what The Gay Gatekeepers want straight culture to see. Is Washington, DC beginning to resemble the Capitol in the Hunger Games’ Universe? Posted by B. Daniel Blatt at 12:27 pm - January 25, 2013. Conservative and libertarian pundits have compared the increasing centralization of power in Washington, D.C. along with the concomitant growth in the city’s wealth (particularly compared to the rest of the country) with that of the Capitol of Panem, the brave new nation, in the Hunger Games universe. The nation’s wealth flows into the city and power flows out from it. In December, the Washington Examiner reported that six of the country’s 10 richest counties were in the D.C. area. Obama won all of them. H/t: Reader R, through this link, who though we should promote it. Posted by B. Daniel Blatt at 2:58 am - January 14, 2013. I have been a fan of Jodie Foster even before confirming, even before hearing, that she liked the ladies. She is an incredibly versatile actress who has crafted a number of powerful performances, with my favorite one that earned her only a handful of nominations, and two only wins, but no Oscar, not even a nomination, the 1997 film Contact. And I liked her in Panic Room. And she stood out in The Silence of the Lambs, but she did win an Oscar for that–not to mention numerous other honors. 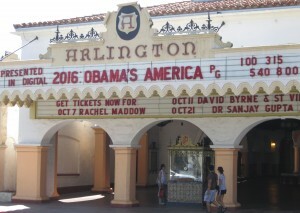 The end of the Hollywood/media infatuation with Obama? Posted by B. Daniel Blatt at 10:10 pm - October 10, 2012. 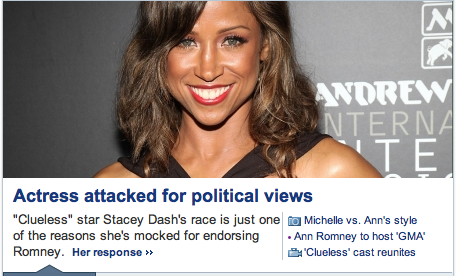 I had not heard for the actress Stacey Dash before I learned of the flak she was receiving for endorsing Mitt Romney. What struck me was not the flak which celebrities have come to expect when they come out in support of a Republican, but that an actress would risk that flak by so coming out. Maybe it’s that this actress who seems as intelligent as she is attractive senses something going on in this country or perhaps she’s been hearing Hollywood friends and associates (less courageous than she) grumbling about Obama and considering Mitt Romney. Two days ago, everyone was all abuzz over writer Buzz Bissinger’s piece in the Daily Beast where he put forward his reasons for backing Mitt Romney. What makes that piece “so damaging“, writes Jeff Greenfield, is that Bissinger “is not retreating from his Democratic roots, nor even embracing Romney’s policies. Rather, he has concluded that Obama is ‘burnt-out. … He is no longer the chosen one.’” And the acclaimed writer, notes Greenfield, is not the only one in the media establishment who is distancing himself from Obama. The media has shown a willingness to let the chips fall where they may when it comes to finishing the White House’s sentences for them. This is a significant and unexpected development, and it should horrify the Obama campaign. They may have squandered their greatest asset in the last week. The end of the media’s infatuation with Obama may be the greatest casualty of the debate. FROM THE COMMENTS: V the K “can’t help wonder if a similar cultural shift happened in the 50s/60s. At one time, the leftist counterculture was on the outside, and leftist actors and writers were blacklisted. 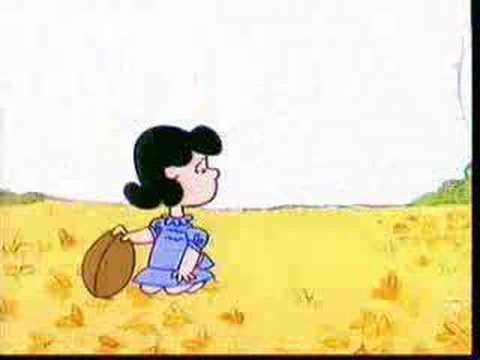 Then, it began to tip the other way, and eventually the leftist counterculture became the dominant culture. Wonder if it is now starting to tip and eventually conservatism will once again be the dominant culture.” We can only hope. For such a change. Posted by B. Daniel Blatt at 1:15 am - October 10, 2012. Posted by B. Daniel Blatt at 8:04 pm - August 20, 2012. Anyway, had wanted to build upon the two posts I did get up this afternoon, perhaps as soon as this evening (Pacific Time), but most likely (if at all) tomorrow. Just a lot of little things hit this afternoon, along with various complications (mostly minor, but generally inconvenient). Does seem that whenever I resolve to slow down my blogging or, in this case, work on some “thought” pieces nearer and dearer to my heart, some issue or issues come up about which our readers expect us to blog. Will do my best to get back to regular blogging as soon as is feasible. Comments Off on One of those days. . .
Is that one or two degrees of Catwoman? Posted by B. Daniel Blatt at 10:37 pm - July 27, 2012. Anne Hathaway plays Catwoman in the latest Batman movie, The Dark Knight Rises where Matthew Modine returns to the screen as Foley. Twenty-four years ago, Modine was in Married to the Mob where he fell for Michelle Pfeiffer who played Catwoman in Batman Returns. Perhaps, a runoff is in order between her and Hathaway? Now, Kitt is comfortably cattier, but Hathaway is darker and more duplicitous, very much a female Han Solo with a bit more of an edge. Posted by B. Daniel Blatt at 7:19 pm - July 24, 2012. Having stayed up late last Thursday to see the Dark Knight Rise first thing Friday morning, those in the Aurora cinema when the shooter walked in were obviously big Batman fans. Thus, it would be a big deal if the actor playing the caped crusader in that film stopped by to visit the wounded among them. Christian Bale, star of the Batman films, met at the Medical Center of Aurora on Tuesday afternoon with seven patients injured in the mass shooting that occurred during a midnight showing of his new film. Bill Voloch, interim president of Medical Center of Aurora, said Bale spent about 2½ hours at the hospital, where he met with five people still being treated for their injuries. Two others came from Swedish Medical Center to meet Bale, who stars at Batman in “The Dark Knight Rises. Not only is Bale a great actor, but he is also a great guy. This guy is a mensch. Posted by B. Daniel Blatt at 6:18 pm - July 18, 2012. Anyone who has spent time about Hollywood wannabes (and yes, I once was just such a wannabe) knows that talent, hard work and determination do not necessarily yield success in this town. Here, you see people work hard, hone their craft, invest their own money and receive little return. They may audition for countess roles and never get cast. They may write, rewrite and re-rewrite scripts only have production companies reject them having only read the log-line or the first few pages. They may raise their own funds and devote their own time to producing a movie, only to see it languish it film festivals — and never get a distribution deal. And then you’ll see someone else, knowing the right people (or knowing the people who know the right people) or having the look — or the story — they’re looking for, move to town and find success in a matter of moments. It may not seem fair, but that’s just the way it is in a competitive business. Hard work here does not necessarily yield reward. He’s right that every successful person received help along the way. There’s a reason the ancient Greeks honored Athena — and depicted her helping their heroes. They knew a man often required the assistance of others to accomplish his goals. In the end though, it is, by and large, an individual’s grit and determination which account for his success. Who is the cattiest Catwoman? Posted by B. Daniel Blatt at 5:22 pm - July 17, 2012. Will Anne Hathaway be as catty as Eartha Kitt? Posted by B. Daniel Blatt at 5:12 pm - July 17, 2012. Perhaps we should poll our readers to see who was the cattiest. . . . Was it Miss Kitt, or perhaps Halle Berry or maybe Lee Meriwether, not to mention Julie Newmar or who could forget Michelle Pfeiffer? Seems my gay friends are torn between Eartha and Julie while my straight male friends gravitate toward Michelle.